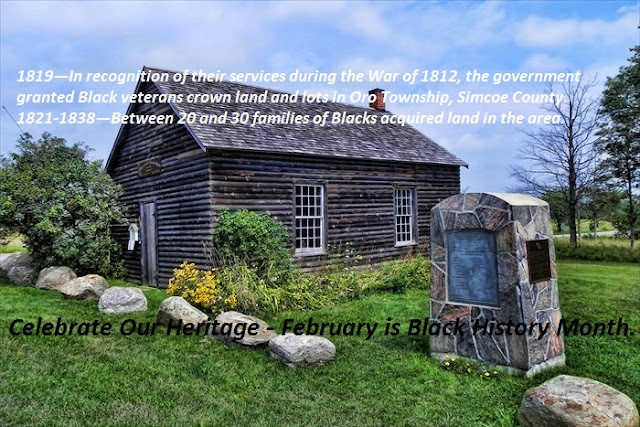 In recognition of Black History Month in Ontario the Huronia Chapter of the OAS is pleased to present the Archaeology of the Oro African Church by Ms Sarah Clarke from the firm of Archaeological Research Associates.Over the last two years the Historical Committee of Oro-Medonte undertook a study for the restoration and refurbishment of this building thought to have been constructed circa 1849 by the Black community members of Oro. They did this project on a pro bono basis and Sarah will lead a discussion of this work completed last year in concert with the restoration project of the church. The event takes place at the Midland Public Library at 7 pm on Wednesday February 14 th. For those that love heritage we'll see you there.